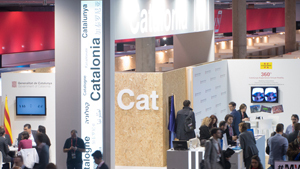 The Government of Catalonia, through ACCIÓ – the government agency for business competitiveness – has identified 1,200 Catalan startups that generate 11,700 jobs and show an average turnover of 1.2 million. These figures are the result of an update by the Barcelona & Catalonia Startup Hub, a digital platform created last year that lists and identifies Catalan startups with the aim of positioning the Catalan startup ecosystem internationally and promoting investment attraction. The directory lists those companies with a maximum life of 10 years, with scalable and repeatable business models, applicable in global environments and focused on rapid growth. It can be seen that 23% of employees in Catalan startups are from abroad, while in the case of the founders this figure is 14%. Regarding company age, 40% of these startups are between 3 and 6 years old, 40% are under 3 years old and the remaining 20% are between 6 and 10 years old. It is noteworthy that 36% of startup founders have previously created other emerging companies. In terms of sectors, Internet and mobile software, travel and leisure digital applications, health technologies and biotechnology concentrate the bulk of the activity. 39% of startups use technology linked to industry 4.0 in areas such as big data, robotics, simulation, Internet of Things (IoT), augmented reality, cloud technology or 3D printing. As regards business models, e-commerce is the main area (29%), followed by development and manufacturing (21%), software licensing, consultancy and agency, and subscription (20%).